U.S-based chip manufacturer Qualcomm has found itself in a conundrum after it was fined $774 million by Taiwan for violating antitrust regulations. The Taiwan Fair Trade Commission announced on Wednesday that it would impose a $774.14 million fine on the chip maker for anti-competitive practices. The Asian watchdog stated that Qualcomm had been exercising monopoly power through its cellular modems business. The latter provides cellular chipsets that are used in smartphones. The commissionaccused chipmaker of refusing the license the technology for those cellular chipsets to other manufacturers in the industry. 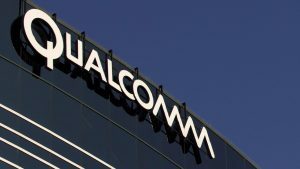 “Qualcomm’s illegal actions have seriously affected the (market) competition…to ensure, maintain or enhance its dominance in the market,” stated the FTC. The FTC claims that the fine imposed upon the company is as a result of investigations that it has been carrying out on the matter. Some of the chipsets involved in the antitrust violation report include the WCDMA (3G), CDMA and LTE chipsets. Qualcomm will be required to submit a report on its negotiations with other firms twice every year on top of the $774 million fine. Qualcomm has also released a statement saying that it does not agree with the decision and that it plans to file an appeal in court once the FTC issues its final decision over the next few weeks. The U.S-based manufacturer argues that the figure presented as the fine does not align with Qualcomm’s activities or revenue in Taiwan. The Commission however argues that the company has been carrying out the anticompetitive practices for at least seven years. It also stated that the chip maker made more than $30 billion in baseband chip sales and royalty fees worth roughly 13.33 billion. Unfortunately, the new fine by the Taiwan Fair Trade Commission adds on to the numerous other fines and legal battles that have burdened the chip manufacturer. Korean regulators imposed an $854 million fine on Qualcomm in December 2016 for anticompetitive practices and Chinese regulators also slapped the company with a $975 million penalty for in similar anticompetitive claims in the previous year. Qualcomm has also been involved in a nasty legal battle with software and tech giant Apple over patent infringement. The iPhone maker also filed a lawsuit accusing the chip maker of using its dominant position to demand unfair royalties. Meanwhile, Qualcomm continues to be the dominant chip manufacturer for smartphones owing to its superior quality. However, this dominant position has attracted a lot of legal battles and fines from antitrust regulators.